Donna in the saddle, looking so elegant! Photo by Matthew Stockman/Getty Images. 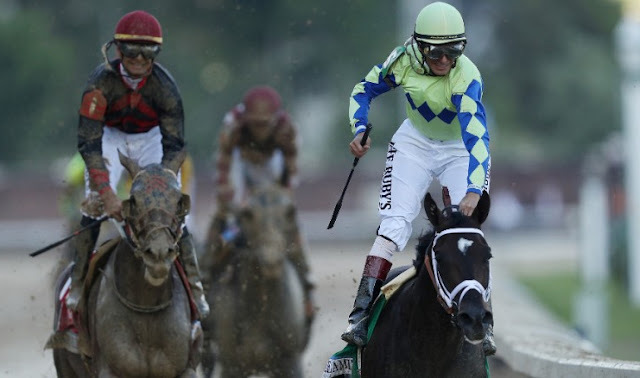 The last few years I have really gotten into watching the three major horse racing events in the U.S.—the Kentucky Derby, the Preakness Stakes, and the Belmont Stakes. 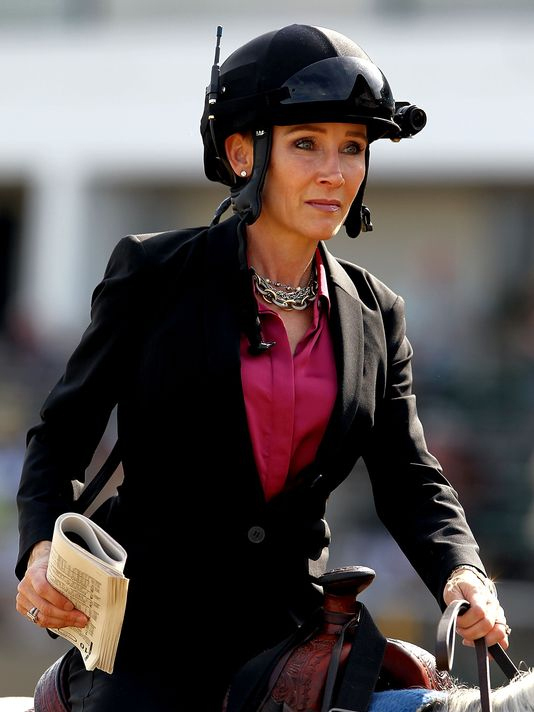 One person who makes it so entertaining to tune in no matter if there is a Triple Crown contender or not is the lovely Donna Barton Brothers, horse racing commentator for NBC and a former jockey herself! I love her horseback interviews with the winning jockey of the races and I love her style. She has very short blonde hair and beautiful eyes and she highlights both with her statement jewelry and flair for bold color. I have seen her wear tweed, I have seen her wear leather. She can wear pearls, she can wear chunky chains. She knows what suits her and she always looks great! Lovely in yellow and pearls. Photo courtesy of Starlight Racing. Ready to interview! Photo by Greta Polites, courtesy of Horse Channel. 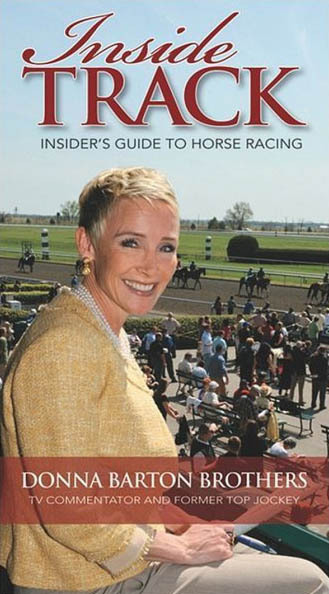 She has a book that I hope to get my hands on soon called Inside Track: Insider’s Guide to Horse Racing. She talks about how to place a bet, how to watch a horse race, and even what to wear to the track. There’s a fun interview with her over at Style Blueprint if you would like to learn more about her and see how great she looks in a pink-tipped blazer (now I want one). I think she is such an interesting person! Let me know what you think of Donna’s style and if you will be watching the Preakness Stakes on May 20. My money will be on Always Dreaming, who won the Kentucky Derby in fine fashion on a sloppy track! Can’t wait to watch and see who Donna will interview. Fingers crossed it is John Velazquez, Always Dreaming’s jockey! Always Dreaming wins the Kentucky Derby May 6, 2017. Photo by Patrick Smith. I will be going to a Preakness Party this Saturday hosted by one of my friends from Maryland. Crab cakes will be in abundance (yum). I will be wearing the colors of Preakness which is black & yellow. Can't wait. I luv the equestrian styles!